FRESNO, Calif. (KFSN) -- The Mariposa County Sheriff's Office around 2:45 p.m. on Friday afternoon, 19-year-old Briceburg Ronnie Ray Cole of Mariposa went to the Cable Beach area Merced River with two female friends. They say he jumped into the water wearing blue jeans and black shoes in the Cable Beach area. Witnesses say Cole surfaced after he jumped in and started swimming towards shore, but then they lost sight of him. After searching for about an hour, the two females contacted authorities. 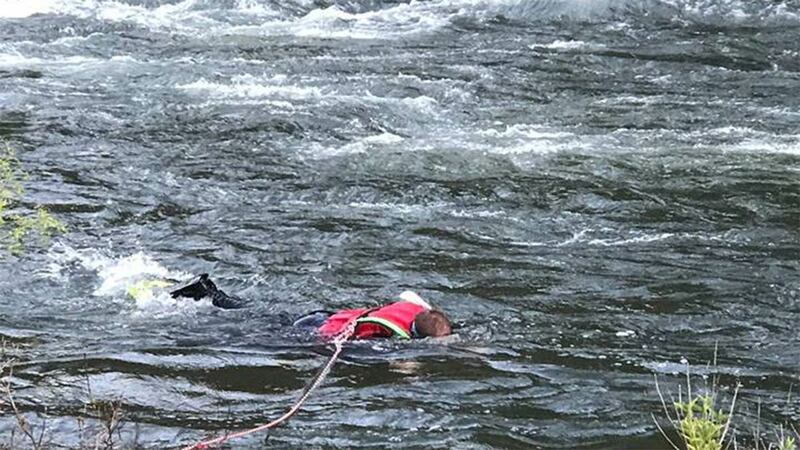 The swift water rescue team searched over the weekend, but authorities say there has been no sign of Cole. Authorities have also been working with river rafting companies, asking them to keep an eye out him. On Sunday, authorities received reports of another missing person, 35-year-old Jason Kienzle of Mariposa. The Sheriff's Office said Kienzle had gone searching for Cole on Saturday and had not returned home on Saturday night. The Sheriff's helicopter located Kienzle on Sunday, but said he was fine and refused assistance. The Sheriff's Office said they are still looking for Cole, but they have scaled down their efforts.